As Komatsu rolled out their Tier 4 Final engines to comply with EPA regulations they needed to coordinate a new strategy, branding and identity with the creative for the Tier 4 Interim engine version to educate buyers and highlight their industry-first maintenance program. 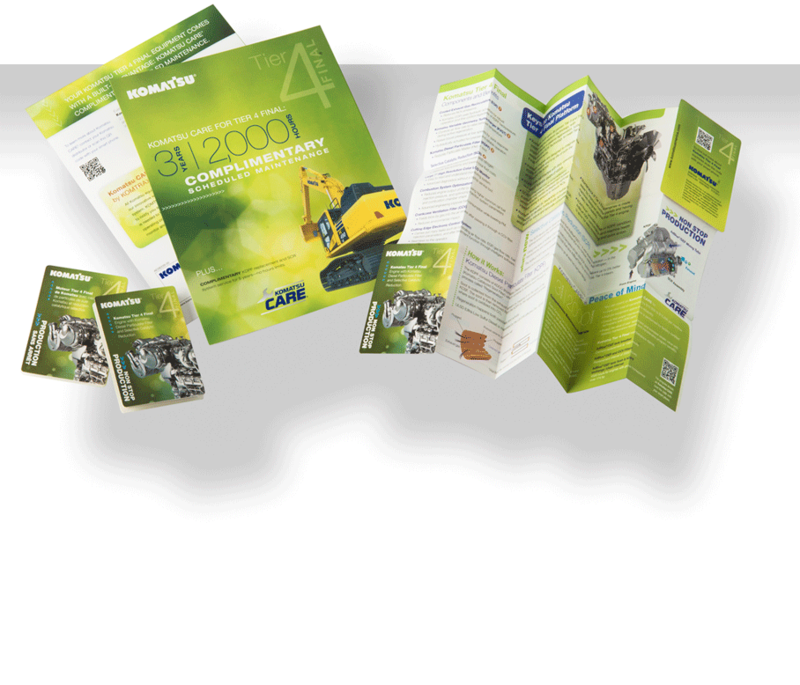 To distinguish the final version we went green in our design and used an unusual z-card fold-out brochure to draw attention to the industry-leading maintenance program. Swimmer is a Chicagoland strategic marketing and graphic design firm. We provide stratigic planning, integrated marketing communications, branding, print design and websites that are smart, focused and timely. Copyright 2019 Swimmer Integrated Marketing by Design, Inc. All rights reserved.